Above: Mr Burnard, chairman of the Board of Governors, greeting the Minister for Education), Mr Tennent, on his arrival at the school. 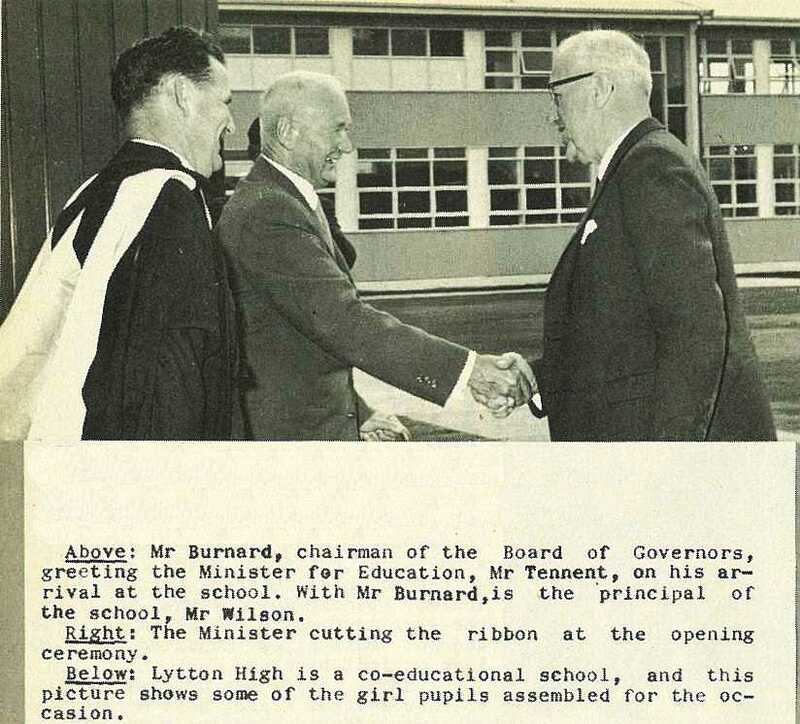 With Mr Burnard, is the "principal of the school, Mr Wilson. 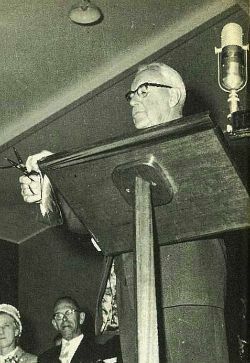 The Minister cutting the ribbon at the opening ceremon. 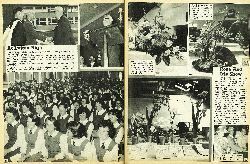 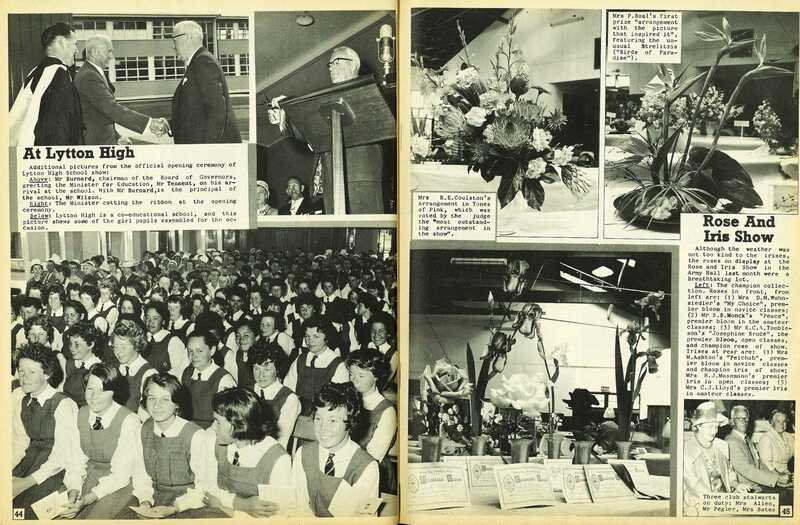 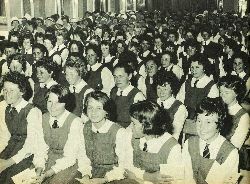 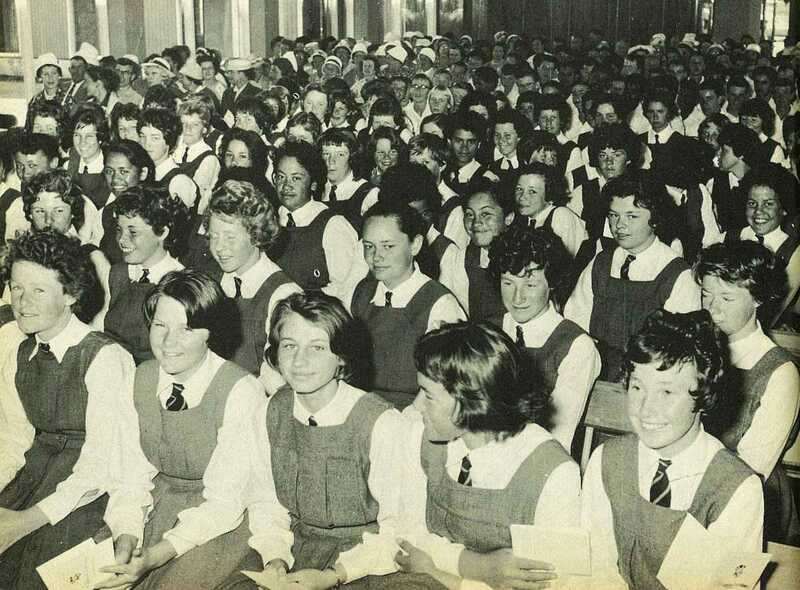 Lytton High is a co-educational school, and this picture shows some of the girl pupils assembled for the occasion.